One of my stash game goals is to make a blouse for myself. I really need more tops. I do need some other things, but I never seem to have enough tops. 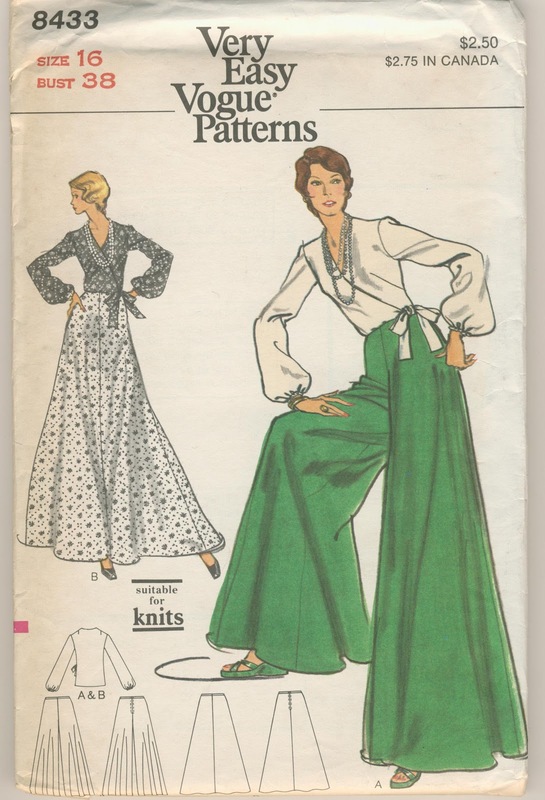 I have an ENORMOUS collection of vintage patterns, so I'm considering using some of those. I wear a bust size 36, so in most patterns that's a 14, altho in a few it's a 16. I think the older the pattern is, the fatter I am! 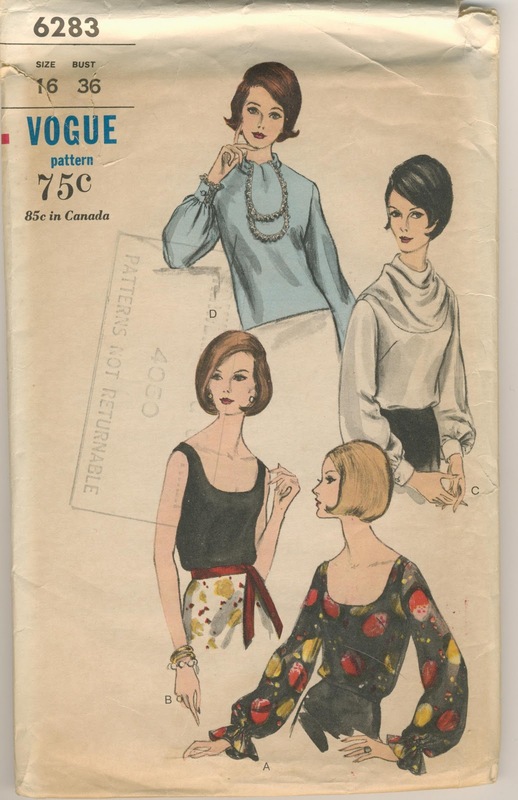 ;) If I wait a few years, I might be a pattern size 8! 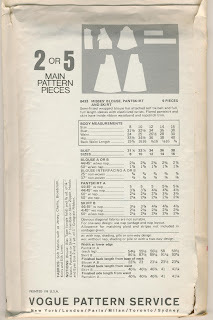 This is one with NEW Sizing, it says, so this must be from around when patterns became size 14 with a 36 in. bust. 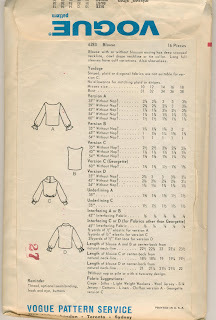 They didn't do anything with the chart (I compared them) but go down one size with each set of measurements. Tricky! This is a nice button-down, I think, and I really like the sleeveless one. Altho, I'm slightly enamored of the ruffled one, too, because I can imagine what kind of ruffles I'd put there on the plackets and sleeves. I like that this shirt has princess seams. My waist is my best feature, so I like things to be fitted there. It's all about drawing attention to your assets, right? I LOVE LOVE LOVE this pattern! So pretty! Damn size 16 tho! 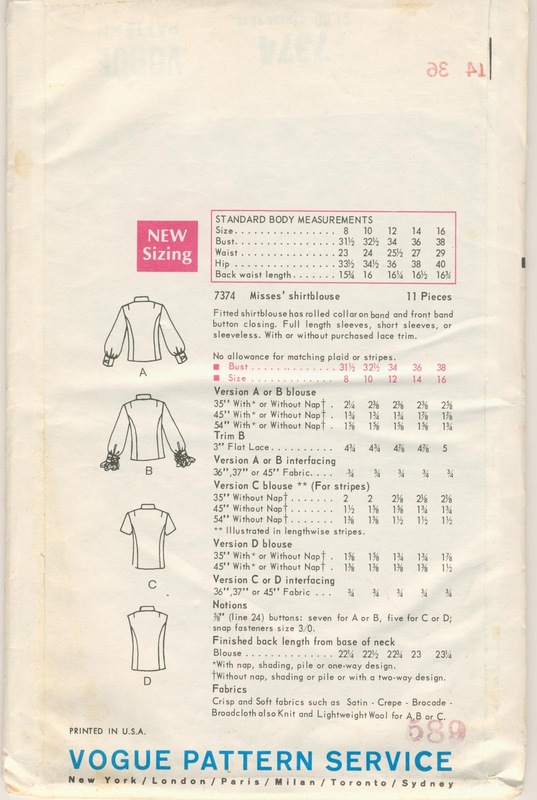 ha ha, in the "old sizing". Still fits me. I love view C, and you can tell the model does, too. She's being kind of catty about it. This one, you can tell from the drawing, is not as fitted, so you need a drapier fabric. There are some beautiful silks at Golden D'or I've been needing an excuse to buy. This top is a great wrap top. It's not in my size tho. Really. It's a 38 bust, so too big. I LOVE it, tho! I want to make this, and I may see if I can alter the fit for myself. 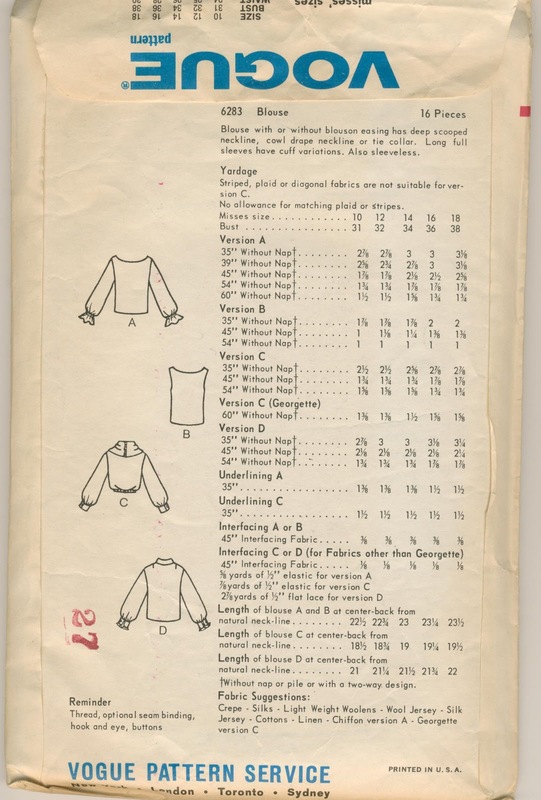 You're supposed to use a knit, so the one size off might not be a huge deal. I'll have to investigate further. Those pants are to die for: I could lose one of my kids in a leg! Look at the shape of the pants! ha ha! Also, you can see how simply these pieces are drafted. I bet this is a super easy pattern to sew. 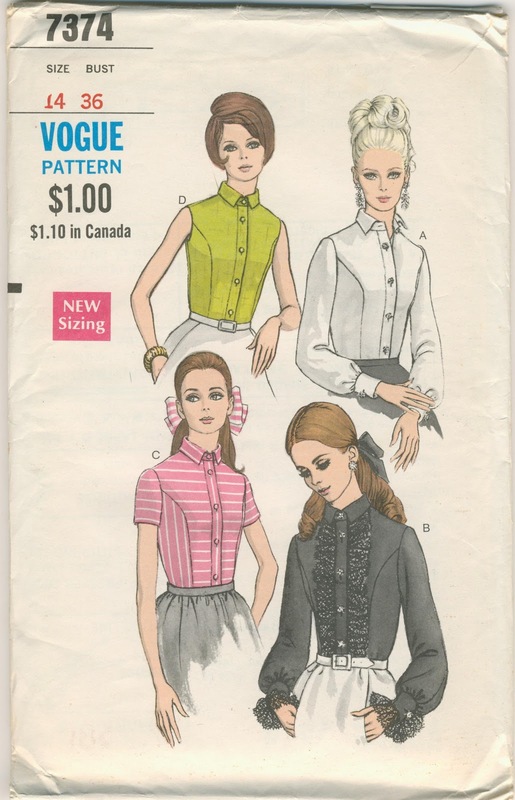 Of course, it does say "Very Easy, Very Vogue" on the front. Duh. Mom's Patterns. I CANNOT stop looking at this store! There are so many cool things here! I encourage you to check it out. 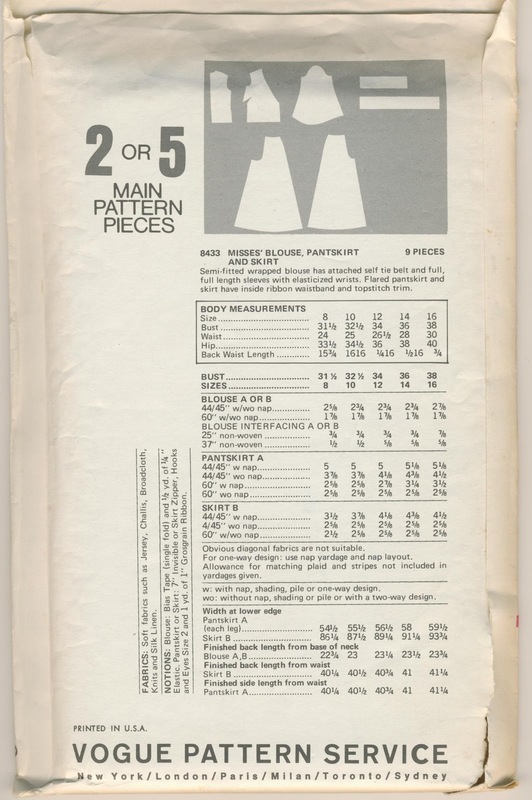 Have fun looking at/for vintage patterns! 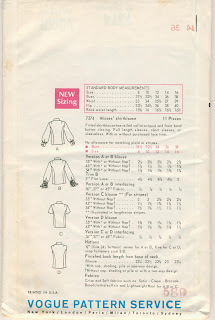 If you hurry, maybe you can find a nice men's shirt pattern to use for the Male Pattern Boldness sew along! And, if you've got your own blog, feel free to post my button on it!